Local government officials play a crucial role in shaping when, where, and how citizens can access public services in Tanzania. But oftentimes it is nearly impossible for rural government offices to access the right data. 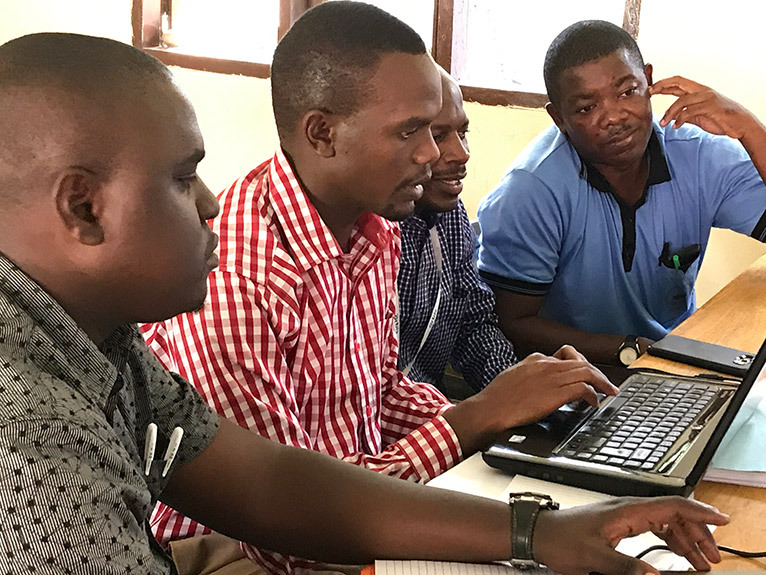 By working with the Data Zetu program, local officials like Musa Mgata are transforming how their offices collect and use data to improve public services. Mgata is a new district executive director in Kyela, Tanzania. His district is prone to flooding, which threatens the community’s agriculture, public health, transportation, and infrastructure. Data Zetu (“Our Data” in Swahili) aims to empower local organizations and leaders to make data-informed decisions that better serve their communities. IREX and our partners implement the program with funding from PEPFAR and in partnership with the Millennium Challenge Corporation. The Kyela district faces a range of data challenges. Up until now, officials have not had access to credible, real-time data about local weather and flood trends, road and infrastructure status, or public health responses. Compounding the problem, baseline data from national authorities is not always reliable. Location data is sometimes inaccurate for crucial services such as schools, clinics, and water points. These constraints have made it harder for districts to obtain the funding that their communities need to improve services. This hinders local government’s ability to respond to citizens’ questions and feedback, which has led to public frustration with issues ranging from disease outbreaks to crumbling roads. Mgata worked with Data Zetu to create a user-centered plan. It includes a number of “quick wins” to build local buy-in while simultaneously testing a series of long-term solutions. 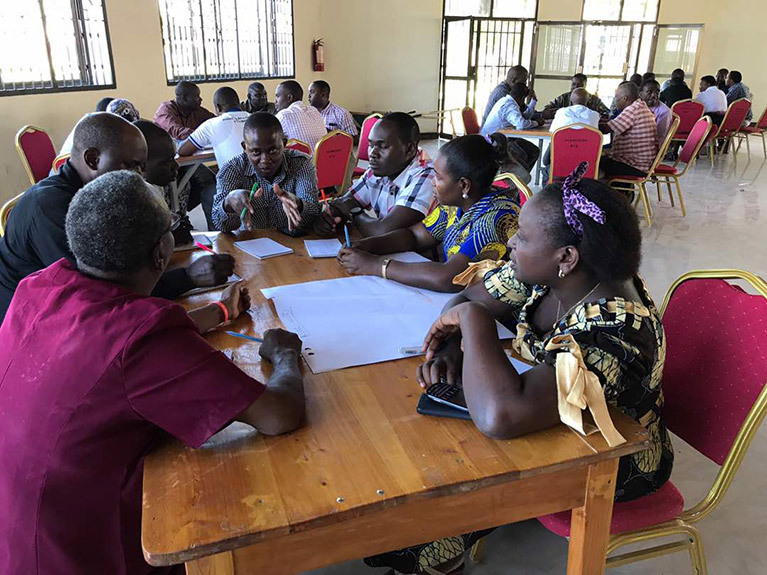 The quick wins included training local officials on survey methodology and data use practices, implementing a low-cost tool for data collection and a centralized tool for data management, and training staff to use the tools. Rather than “reinvent the wheel” by developing custom software, Mgata and the partners used cloud-based solutions that are compatible with the existing subnational and national data ecosystem. This decreased costs while promoting data standards and responsible data sharing. As a result of the program, Mgata and Code for Tanzania are now planning to develop an early warning system to alert communities about extreme weather. The system will use NASA satellite data and sophisticated algorithms to predict severe storms. The system will send alerts through apps that Tanzanian citizens use, such as WhatsApp, Facebook Messenger, and Twitter. These partners are also testing a series of grassroots environmental sensors that collect data about precipitation, temperature, air quality, water flow rates, and water quality. Local community organizations will own the sensors. Citizens, civic groups, media organizations, and government officials will all have access to the data. By working with Data Zetu in an iterative, user-centered way, Mgata and his colleagues gained valuable experience with developing and implementing civic technology that meets the needs of government and citizens. And because the program focused on not only how to collect data but also how to interpret it, participants developed crucial knowledge and skills to make the most of their data initiatives, now and in the future. More than 70% of participants who received training reported that they are better able to engage with data, and 60% reported that they now see more value in data. As Mgata can attest, these are all important steps in transforming how local leaders use data for decision-making and long-term planning. Data Zetu is implemented by IREX in collaboration with local and international partners including Code for Tanzania (CFT), Tanzanian Bora Initiative (TBI), Humanitarian Open StreetMap (HOT), SBC4D, and Sahara Sparks. It is part of the Data Collaboratives for Local Impact program (DCLI), a unique partnership between the President’s Emergency Plan for AIDS Relief (PEPFAR) and the Millennium Challenge Corporation (MCC).